The Faro Focus is a compact 360 degree laser scanning device used for detailed measurement and documentation. It is able to capture and reproduce environments in 3D with colour in only a few minutes. The Faro Focus has an accuracy of up to 2mm and a range of focus of 0.6 to 330 metres. The Faro Focus essentially uses a laser to survey the coordinates (x,y,z) of millions of points in its range of focus (typically 7 million points per scan!). Due to the amount and density of points captured, the Faro Focus is able to recreate environments, to scale, in 3D. This is commonly referred to as a ‘point cloud’. The image below depicts a ‘point cloud’ in its raw form (millions of points) in contrast with a photo taken by the Faro Focus of the same data. The photos taken by the Faro Focus contain 3D information and any position visible in the photo can be translated to a 3D coordinate. The Faro Focus can be positioned at multiple stations to capture large environments. Essentially, a ‘chain’ of scan positions are referenced to each other to create one monolithic point cloud. This could include multiple levels or both sides of a specific subject. 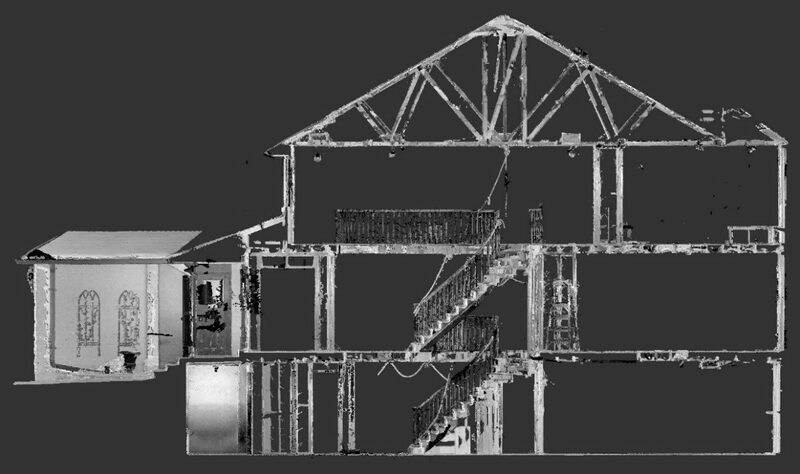 The image below depicts how the Faro Focus is able to capture multiple levels and rooms in a house. The Faro Focus is able to reference multiple scan locations together through a special technology called ‘cloud to cloud referencing’. This technology essentially allows unique shapes, planes and features, visible in multiple scan positions, to connect to each other. Other options such as target referencing can also be used to reference scan positons together. This is done by using discreet targets, like benchmark points or special targets provided by Faro. Target referencing needs to be carefully planned and executed. It is crucial to have adequate references visible (unique cloud references or discreet targets) in multiple scan positions in order to create an accurate point cloud. Other factors to keep in mind while scanning is the resolution and quality settings of the Faro Focus. These factors can be adjusted based on the desired level of accuracy and point cloud density. For instance, at a given resolution, the Faro Focus will take a different number of measurements. Essentially, the resolution controls the spacing of points at given distance. The higher the resolution, the more points which will be measured and thus the higher the density of the point cloud. The quality setting dictates the amount of ‘noise’ the scanner will allow. That is, how effective the scanner capturing every point on a surface needs to be. A high quality will force the scanner to take additional readings to ensure it captures the points. Essentially, quality makes the difference between an inefficient, fuzzy point cloud and a uniform, robust point cloud. The resolution and quality settings affect the time of the scan. Scans can range from 30 seconds to 30 minutes – the higher the resolution and quality, the higher the scan time. These settings will depend on the desired information or type of analysis you wish to carry out. For instance, if you are scanning a large, open area you may wish to increase resolution so that you are able to capture a greater amount of points further away. This may because references are scarce or because you want to decrease the number of scans you need to carry out. If you are scanning a brand new, shiny black car you may want a higher quality to ensure all data is captured. Dark and reflective surfaces typically absorb the signal from the laser and so points are not recorded. Further, weather and environment conditions can affect the scans – best to hire a professional. Point clouds can be used for a wide variety of applications ranging from accident reconstruction, architecture, excavation volumes, building construction, façade and structural deformations, complex geometry, forensics and manufacturing to shipbuilding (!!?!) – anybody dream of building their own pirate ship? 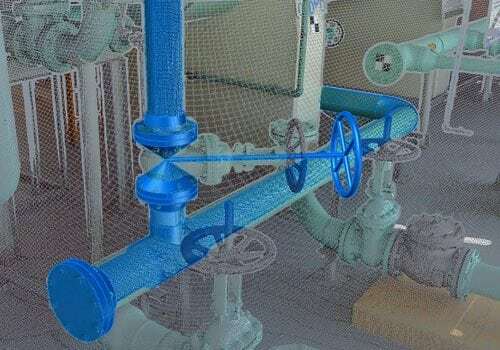 Analysis on the point cloud can be carried out using MANY software applications. Some software is better suited for specific types of analysis – again, best to hire a professional. One common application for the Faro Focus is to document construction (structural and architectural). This allows for a powerful inspection of construction elements before finishing of the building. 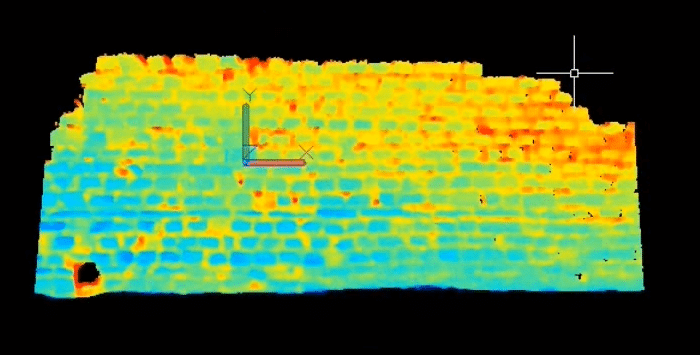 The data can also be used to investigate any structural deflections or deformations. The image bellows depicts the alignment of a masonry wall – the colors represent the projection of each masonry unit. 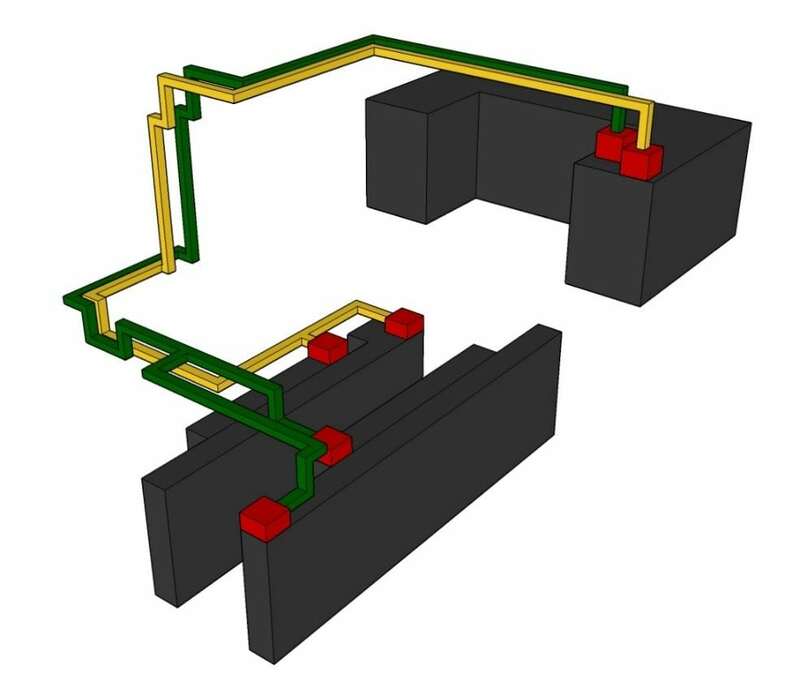 This same technique can be applied to deflections of steel beams or depressions in concrete slabs. Another application in the construction industry is heritage documentation and restoration. 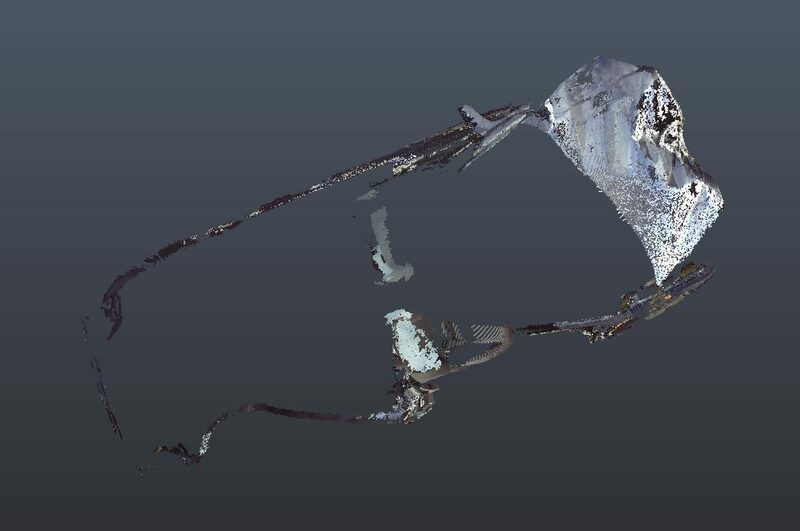 The 3D data captured by the Faro can be used to facilitate the reconstruction of degraded historical components or for preservations purposes. 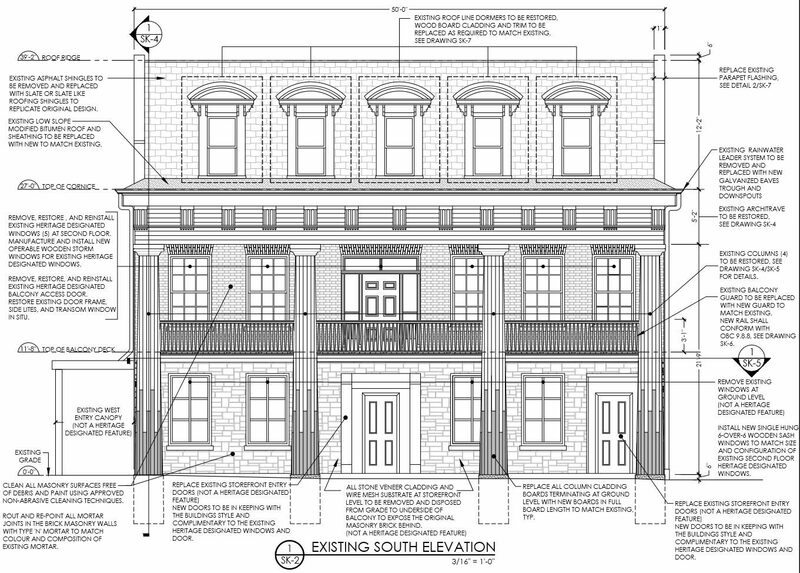 City building department often require highly detailed drawings and documentation when working with designated heritage buildings. The image below reflects a project in which a façade restoration of a historical building was carried out. The Faro Focus was used to accurately capture all the required data to recreate the historical features. This same application can be used for other historical preservation efforts such as artifacts in museums or archeological discoveries. 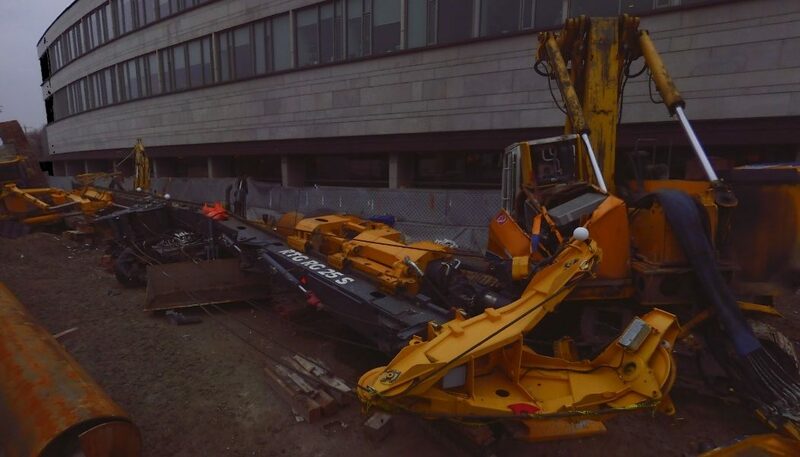 Another prominent application for the Faro Focus is Civil Engineering/Surveying. This can be very beneficial when trying to gather information from large or distant objects. Deformation of bridges, movement of large structures or shape changes can be easily captured by the Faro Focus. 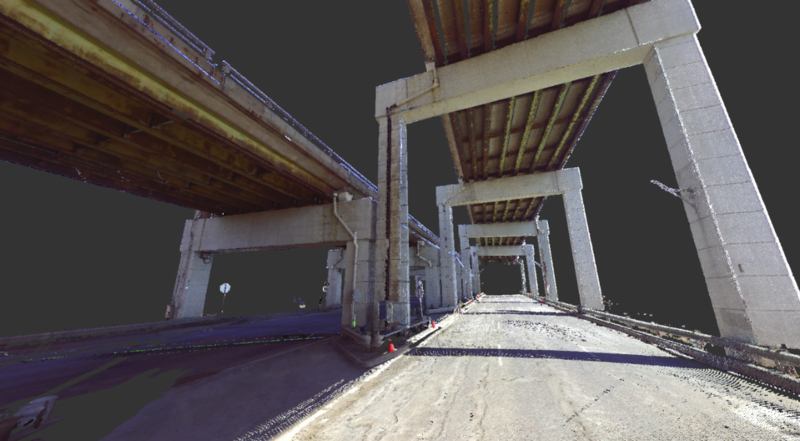 The image below shows the capability of the Faro Focus to capture the underside of the Gardiner Expressway. This information can be used to investigate and compare any changes in position. In addition to this type of surveying, the data can also be used to analyze volumes in barges, silos or warehouses. 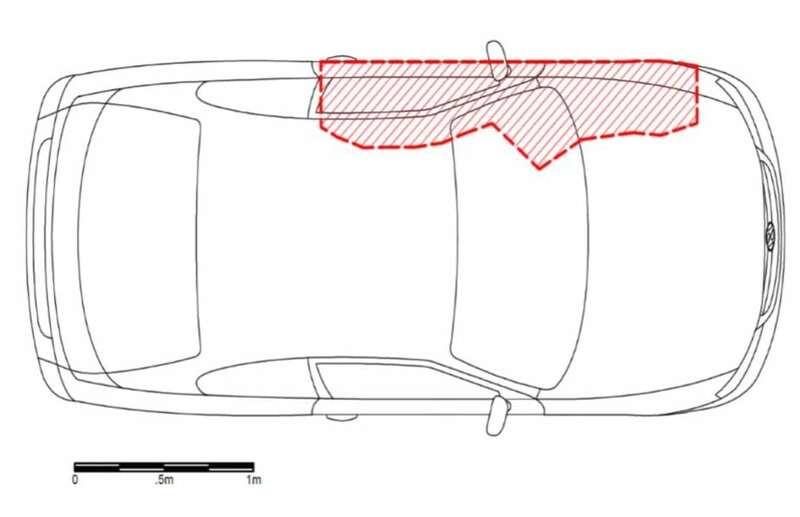 The Faro Focus can also be sued to survey as built conditions and ensure the constriction fits the design intent. The Faro Focus data can easily be tied into any survey data using available benchmarks or points of reference. Building information modeling (BIM) is another application which is commonly carried out using point clouds. Almost any component of a building or manufacturing plant can be captured by the Faro Focus and deliver real world information to a BIM model. This can greatly assist in planning new pipe or duct runs as well as capturing quantity data for specific components of interest. A very popular application for the Faro Focus is surface analysis. This can be used for a wide variety of applications. Flood analysis, forensic investigation into slips, trips and falls and visibility assessments due to road crests etc. 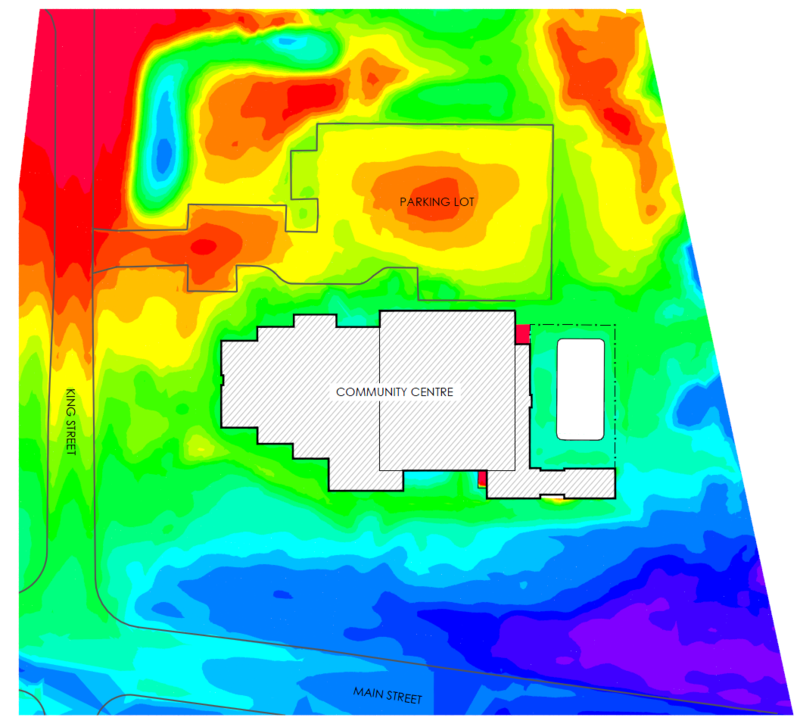 The image below represent the elevation banding surrounding a building. An investigation was carried out to understand if the building was endanger of flooding. The Faro Focus can greatly assist in creating surfaces, contours and sections of existing grades etc. 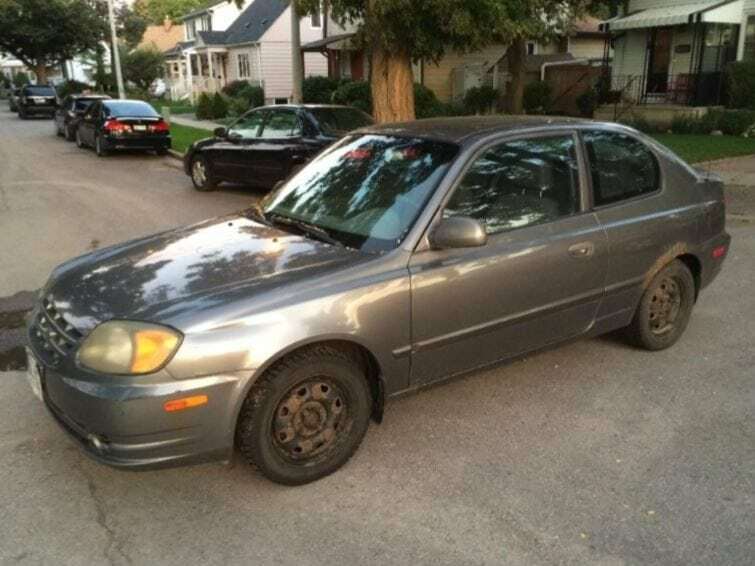 Accident reconstruction is also a prominent application of the Faro Focus. 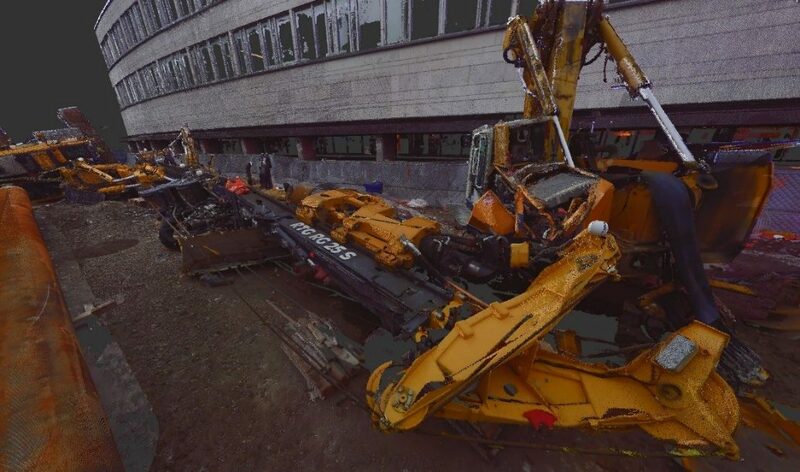 Again, point clouds can be used for a variety of application within the accident reconstruction industry. This includes visibility assessments due to obstructions such as trees or buildings at intersection corners and crush analysis of vehicles involved in accident to estimate speeds and impact orientation. One final applications of the Faro Focus which will be touch upon here is photogrammetry. Although less prominent, photogrammetry using survey data is growing popularity and can be used across many industries. Essentially, 3D information can be pulled from photos by using survey data to ‘rectify’ the image and solve for the camera positon. Based on the solved camera position, objects and positions of points of interest can be pulled from the photographs. This is especially useful when objects have been captured in a photo but are no longer present. 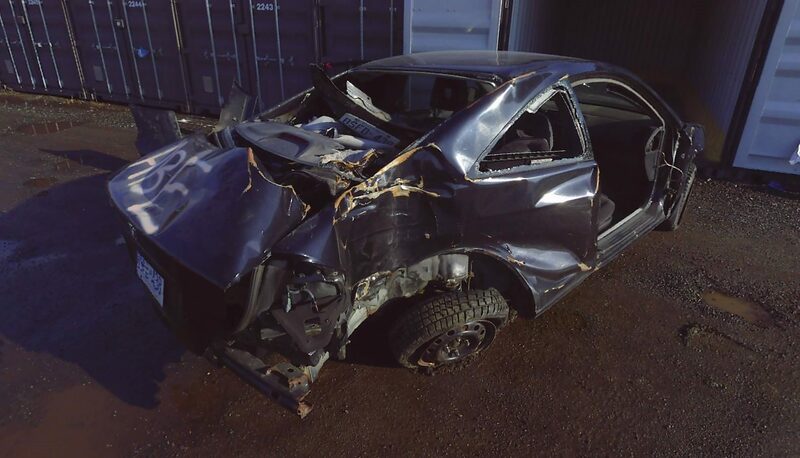 For instance, if a vehicle is in an accident and is no longer available for surveying, photos of the damaged vehicle can be used, along with scan data of an undamaged exemplar vehicle, to rectify crush profiles. 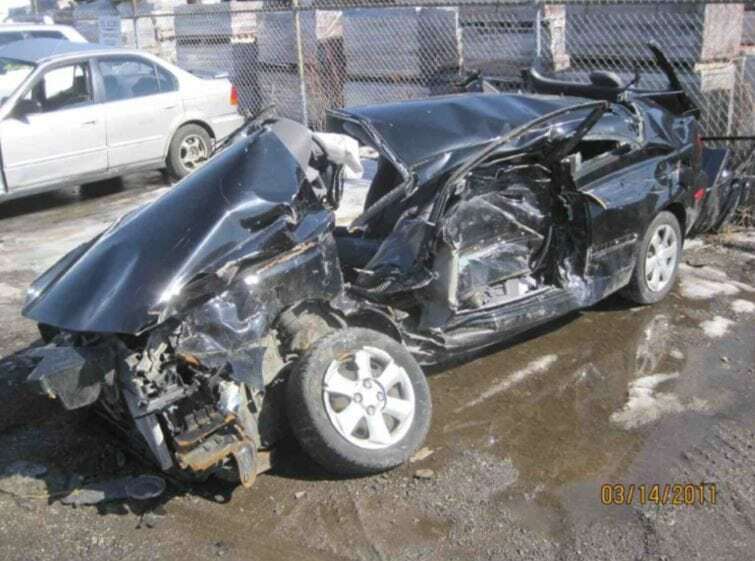 This is done by linking the undamaged vehicle data to undamaged portions of the damaged vehicle. It’s a tricky process but can provide information once thought to be lost. At the end of the day, the Faro Focus is an extremely powerful tool that can be used for MANY applications. The technology is constantly growing and people are continuously finding new ways to apply the data that the Faro Focus is able to capture. The application of the data is up for interpretation and the benefit of precise 3D documentation in a fast and reliable manor, time savings, compelling representation and ease of analysis is undeniably going to play a huge part in the future of many industries.